Paris Saint-Germain forward Kylian Mbappe scored his 27th goal of the season as the runaway leaders edged closer to the Ligue 1 title with a hard-fought 1-0 win at Toulouse on Sunday. Lyon players celebrate during their 5-1 hammering of Toulouse. 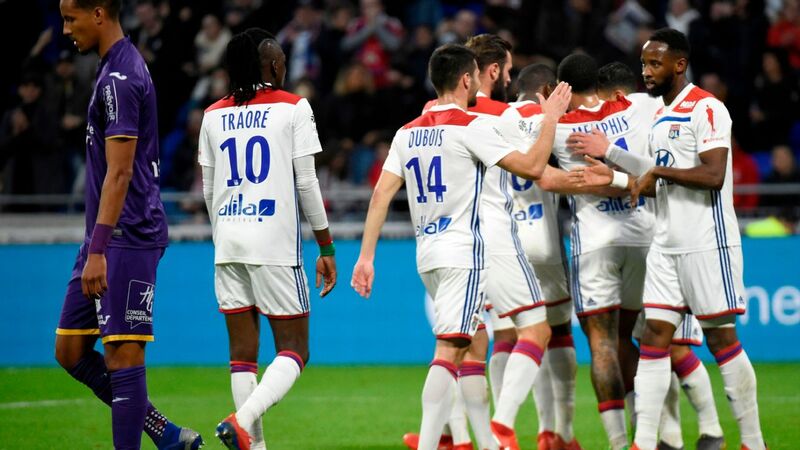 Lyon forward Moussa Dembele struck two second-half goals to round off a thumping 5-1 win over visitors Toulouse in their Ligue 1 clash at the Groupama Stadium on Sunday. Memphis Depay opened the scoring for the third-placed home side after 10 minutes but the lead was short-lived as Matthieu Dossevi put Toulouse back on level terms five minutes later. They have 18 points from 23 games and are level on points with 17th-placed Caen, who have a game in hand. Todibo's signing for Barcelona has raised eyebrows, but everything in his career so far suggests that he is ready for the challenge.